Some companies consider customer service to be mere damage-control at best, and a cost center at worst. However, providing poor customer service is no longer an option, regardless of the quality and price of your product or service. Due to a shift in power dynamics and the rise of customer expectations, that simply isn’t the case. Dispensing bad customer service and not focusing on your client base will hurt much more than your bottom line, and damage your company as a whole. Potential customers have a wider choice than ever before when it comes to making a transaction. They also have an easier time comparing services. Thanks to visible online reviews and customer engagement on multiple channels and social media, your business’ performance will be under scrutiny. Customers and prospects will have no qualms about switching over to a competitor, should they consider them a better fit. It also takes much more time, effort, and money to sign a new customer than to retain an existing one. Therefore, customer retention is a crucial marker of success for businesses. Meanwhile, a business’ customer retention is drastically affected by the quality of its customer service. 89% of people have stopped doing business with a company after a poor customer service experience and 58% will never deal with that company again. Part of the reason for the correlation between poor service and insufficient customer retention is this: customers and prospects will amalgamate your service and your brand. After an unsatisfactory experience with your cell phone provider, you don’t think less of the company’s customer service department, but rather of the company itself. As a result, the department you might think should be working behind the scenes to hush up problems and work damage-control should in fact be forward-facing. Your customer service is the face of your business. It’s the embodiment of your brand, culture, and mission statement. Poor customer service has the potential to be vey damaging to your brand. This is true even if you are competitively priced and holding a superior product. Poor customer service will make prospects more sensitive to price. 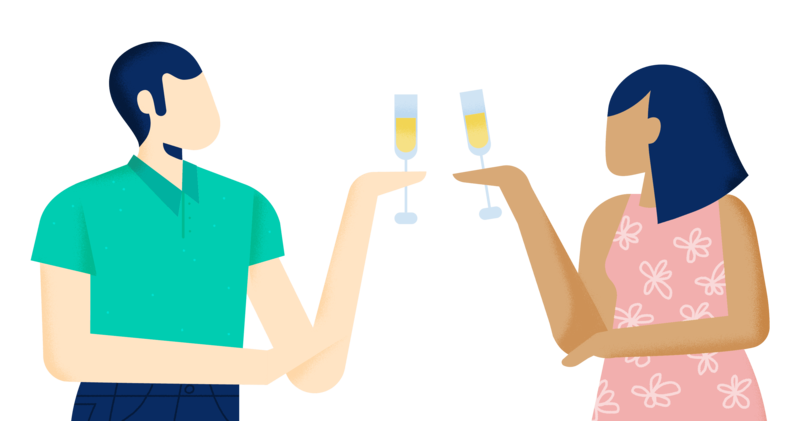 If your business is subscription-based or incurs additional fees and your team administers poor customer service, your customers will chafe at every price bump. A new generation of consumers is making up more and more of the potential client pool. Millenials are self-reliant, savvy, and empowered to make informed purchasing decisions. Millennials prefer to engage with brands with which they have an emotional connection, or whose values align with their own. Businesses must adapt to become brands these consumers will want to patron. And since 86% of people report being willing to pay more for a service in order to receive better customer service, putting out poor customer service is akin to shooting yourself in the foot. Given those clear-cut requirements in terms of customer service quality, it is evident that businesses can no longer get away with providing people with a bad customer service experience. In fact, failing to respond to customer expectations will have weighty consequences. These expectations are high, and falling short of them is easy. Brand promoters are invaluable to your brand. They are the customers so delighted by the winning combination of your product and service that they actively recommend you to others. The opposite side of that coin are brand detractors: ex-customers with an especially low opinion of your business. Unfortunately, it is much easier to disappoint a customer than to satisfy one. Moreover, unhappy customers are much more vocal than neutral or delighted ones. Word of mouth is powerful, and disgruntled customers often have a message that is more far-reaching. A scathing review has a much higher and more memorable impact on a prospect than a shining one would have had. 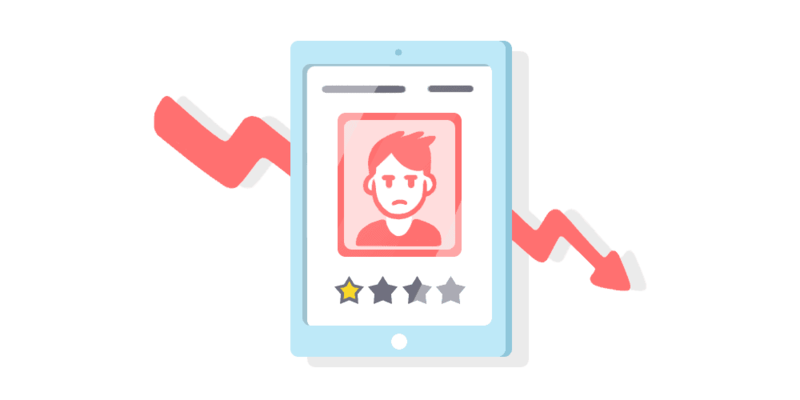 When browsing to benchmark a service or product, we instinctually seek out negative reviews and give them more credence. We often mistrust anonymous positive reviews, since they could have been purchased or coerced. However, word of mouth praise from a trusted source is still effective, and the only way to earn that sort of reputation boost is from loyal customers who are your brand promoters. A second chance? No chance. Having a reputation for poor customer service is a sure-fire way to earn yourself some bad publicity, drive away customers, and keep them from coming back. A negative customer experience isn’t necessarily a colossal train wreck visible from orbit. Most disappointed customers will never even be a blip on your radar, they’ll simply opt out. For every customer who vocally complains, an estimated 26 have remained silent. This is a hindrance to both customer retention, and to your business’ expansion as well. Given that the chance of selling additional products or services to an existing customer is much higher than that of acquiring a new client, it’s a terrible idea to alienate your customer base. If you cannot identify cross-selling or up-selling opportunities, you’ll miss out on revenue increase customer churn, and lose out on an opportunity to help a customer succeed. Customers have no incentive to stick with a business that has let them down, and most won’t. They’ll just leave. The rather Moebius strip-like caveat of denying the weight of poor customer service is that your business won’t untangle until the importance of customer service is recognized. Since you won’t hear from most disgruntled customers, you won’t find out what put them off in the first place. Consequently, you’ll miss out on a chance to improve your customer service model. You’ll also fumble an opportunity to fix what displeased a specific customer, and turn them from a detractor to an ambassador. By refusing to acknowledge possible shortcomings in their own customer service model, many businesses miss out on opportunities to improve. That’s why 80% of companies feel they are providing an outstanding customer service experience, while only 8% of customers agree with that assessment. Your unhappy customers are a tremendous source of insight, and they are the ones to best tell you how to become more efficient. What does poor customer service look like? No customer service practice will suit every demographic. However, there are some customer service blunders which are objectively off-putting, and will displease customers of all sizes, needs, and walks of life. These are the most commonly cited symptoms of poor customer service, and ways to mitigate them. If a customer has a question or complaint, they’ll want to get in touch with your business. Display a prominent phone number. It shows transparency and a willingness to be helpful. If customers cannot find your phone number easily, they will find it with considerable effort and be that much more irate when they finally get on the line with your one of your service reps.
Add a click-to-call button. This also goes a long way to lower the customer’s effort, and avoid problems down the line. Customers expect to be able to reach you on multiple channels, with the same consistency throughout. Alternative channels such as email, social media, live chat, and more all have their merits. However, don’t make a channel available to your customers unless you can man it properly since customer expect a speedy response time. Once a customer has tried getting in touch, they will consider long wait times as a bad customer experience. Having to hang around waiting for a response is a huge pain point. Route calls efficiently. Customers will appreciate reaching the right person to solve their issue on the first try. It’s better than multiple transfers and bouncing around your office. Route calls according to the your team’s abilities, and with regards to the customer’s demands. Implement an automatic response system. 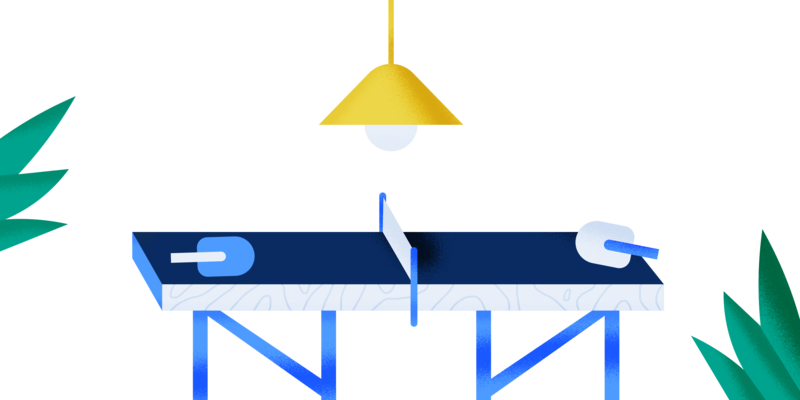 This lets customers request a call back from your team at their convenience. This way, they can go about their business without being tied to a phone, and won’t run the risk of being irritated by waiting by the time you pick up. Other channels such as email or social media are less immediately frustrating than a long wait for a phone call. 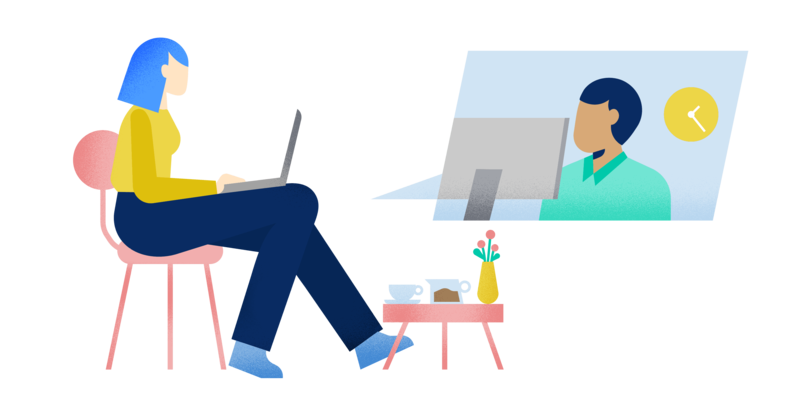 Nevertheless, customers will resent long response times just the same, especially if they are trying an alternative channel to escalate an issue that was unresolved in an unsuccessful phone call. If you provide these channels, you should be ready to respond to queries in a timely fashion. If you ask a customer to call, make sure your team can help on the first try. Self-service resources will have the joint effect of empowering customers and lightening the load for your customer service team. Without them, customers will be unable to solve minor issues or answer repetitive questions on their own. Customers welcome being able to fix problems on their own; they also feel a resulting surge of appreciation for the business they were dealing with. Moreover, teaching your customers to be self-reliant and making it easy to navigate self-service support resources will encourage their adoption of your product. If customers feel more at ease using your service, they’ll be less likely to churn. Conversely, leaving your customers high and dry with no other option than to struggle to get an answer from your own team is a mark of poor customer service. 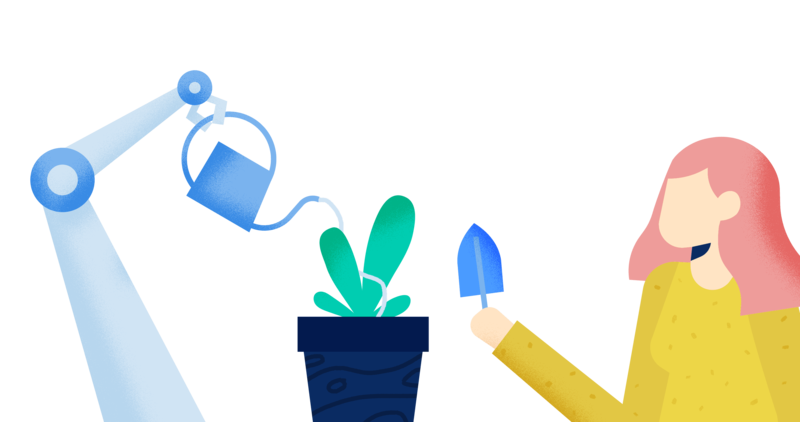 In addition to this, letting customers handle small, recurring, and repetitive service situations on their own will free up your team’s time to deal with the pricklier issues. This in turn will shorten wait times and give your team more time to deal with each customer and thus improve customer satisfaction. Once customers are dealing with your team, nothing will smack more of poor customer service than agents ill-equipped to help them. “Let me transfer you to another person.” And so on. A majority of customers feel frustrated by a customer service representative’s lack of helpful counsel. According to a study by Harris Interactive, users reported that an agent failed to answer their question 50% of the time. Customer service isn’t always easy. There are plenty of skills that agents can work on to display a more efficient and confident beside manner. However, the brunt of their preparedness is developed during their training. If your team doesn’t have a solid command of your product, they won’t be able to empathise with customers or advise them properly. Initial training is crucial here. But so are regularly scheduled training sessions, as well as careful and considerate performance monitoring. The last link in the chain is that of performance monitoring. If you aspire to evolve from poor customer service to excellence, monitoring is essential. As mentioned above, the weak points of your customer service strategy are sources of learning. At the intersection of customer feedback and agent monitoring lies the way to improvement. Just as poor customer service causes brand detractors to leave bad reviews, which discourages other potential customers; then performance monitoring and feedback collection improve the customer experience, and satisfied customers become brand ambassadors and spread the word. Building your customer service strategy can be a virtuous loop or a vicious circle. The important thing is to stay focused, ambitious, and willing to change, and keep striving to improve. Have you tried Aircall’s VoIP cloud-based phone system?